Venerable Father Germanus (Germano) Ruoppolo CP, the spiritual director of St Gemma Galgani, and the Biographer of her life. 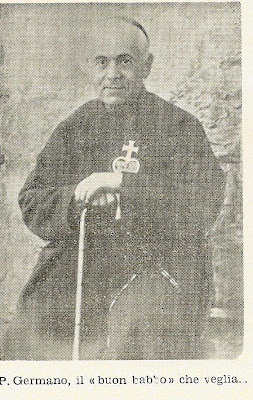 Venerable Father Germanus (Germano) Ruoppolo CP, was a Roman Catholic priest in the Passionist order. He was born in Naples on January 17th, 1850, and died on December 11th, 1909. His name in religion was Father Germanus of St. Stanislaus. He was the spiritual director of St Gemma Galgani beginning in September, 1900. 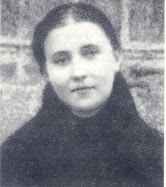 After her death he wrote “The Life of St Gemma Galgani”, which is the foremost work on the life of St. Gemma. Father Germanus was a man of great learning and exemplary piety, and wrote on a wide variety of subjects, including Philosophy, Moral and Mystical Theology, Mathematics and Archeology. Predominantly, he was an imminent and respected theologian, and was well known and respected, even by the highest ecclesiastical authorities in the Vatican. He was also an expert in Archeology, and for years he oversaw on behalf of the Vatican an important archeological excavation under the Basilica of Saints John and Paul in Rome, a site which Father Germano discovered holds the original house of the martyr Saints John and Paul, who were martyred on June 26, 363. He was also the official Postulator for the cause for canonization of the Passionist brother, Gabriel Possenti (now Saint –editor). 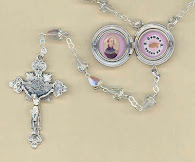 Through both Father Germano and Gemma’s writings, one can easily detect the spiritual communion and love between the two. Their souls were united in a bond of love for God. 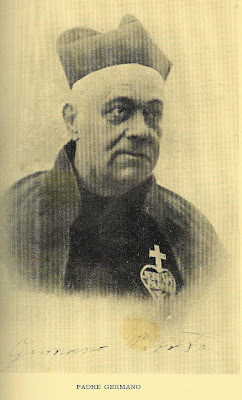 Father Germano bore a spiritual paternal love towards Gemma, and Gemma loved him as a spiritual Father in Christ, at times even calling him affectionately “Mia Papa”. “The Holy Father has charged me to make to make known to you the deep pleasure he derived from reading your book (in which you display a deep knowledge of mystical Theology)* and describe the riches of extraordinary graces that Our Lord poured so abundantly into the soul of that innocent maiden. The August Pontiff trusts that by reading this Life, hearts may become more inflamed with that love of the supernatural which the enemies of the Faith strive to obliterate”. * The words in parenthesis are in the original letter, but were left out of "The Life of St Gemma Galgani" by Father Germanus out of humility in the editions that he published while he lived. Before Father Germano and Gemma had ever met, it had been revealed to Gemma in a vision that Father Germano would become her director. He was in Rome at the time, and was reluctant to meet her, not seeing any reason to do so. 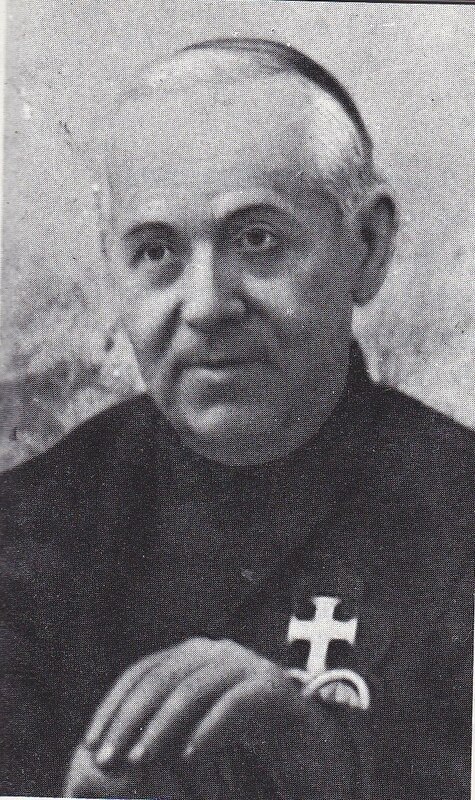 However, Gemma's confessor, Monsignor Volpi knew of Father Germano's reputation in Rome as a renowned mystical Theologian, and not knowing what to make of Gemma's mystical experiences, he prevailed upon the Passionist Provencial to order Father Germano to come to Lucca to examine his penitent (Gemma). Father Germanus once wrote “How often have I not melted into tears while praying at her side, or saying the Divine office with her, and she, all the while was rapt in Divine ecstasy." “You shall see what I will do when I go to heaven. I will bring you with me at any cost”. As stated at the top of this article, Father Germanus died suddenly of an apparent heart attack on December 11th, 1909 at age 59 and he is entombed next to St. Gemma in the Santuario di Santa Gemma in Lucca, Italy. Alongside him in his room were found a large variety of Gemma's writings, which he had been tirelessly compiling and publishing in the years leading up to his holy death. 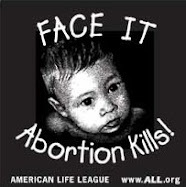 He has been officially declared “Venerable” by the Roman Catholic Church. Venerable Germanus Ruoppolo's feast day is December 11. I am not sure how to take this. I have been reading about St Gemma on and off for a while and never read anything about Fr Germanus. Today, I read about him for the first time and I noticed he died on Dec 11th 1909 and today is Dec 11th. 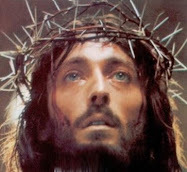 It is also his feast day. Venerable Fr Germanus, Pray for us.